PipeTradesPrep offers voluntary online courses to support applicants during the entrance process for the UA apprenticeship training program. This course of study is intended to prepare you for the entrance requirements for the apprenticeship as well as bolster basic skills in reading and math. Course material has been developed with input from Journeyworker experts and JATC Committee Members of the United Association. This course introduces you the structure of the interview for Local UA Apprenticeship Programs and offers guidance on preparing for that interview. Refresh basic math skills necessary to be a successful apprentice in the UA. 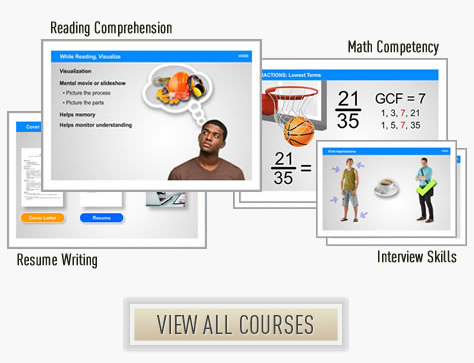 This course reviews and provides plenty of opportunity to practice math fundamentals. In some cases, you may be required to take a math competency exam as part of the entrance process for apprenticeship, and this course will help you prepare for that test. Get more out of everything you read—more comprehension, retention, and information. This course is intended to sharpen and hone your basic reading comprehension skills, which are necessary skills for any successful UA apprentice. The course provides an overview of résumé writing, offers tips to help you to prepare a résumé appropriate for the UA apprenticeship application package, and discusses a few application requirements as well. Some apprenticeship programs require a résumé, and this course will help you format, organize, and write that résumé.